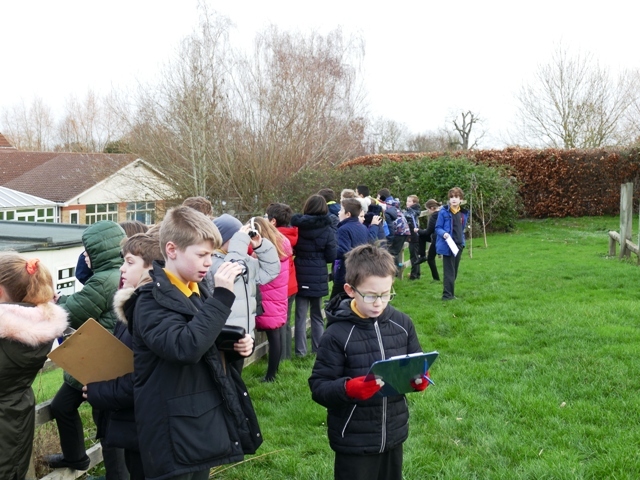 RSPB Birdwatch What's Under Your Feet? 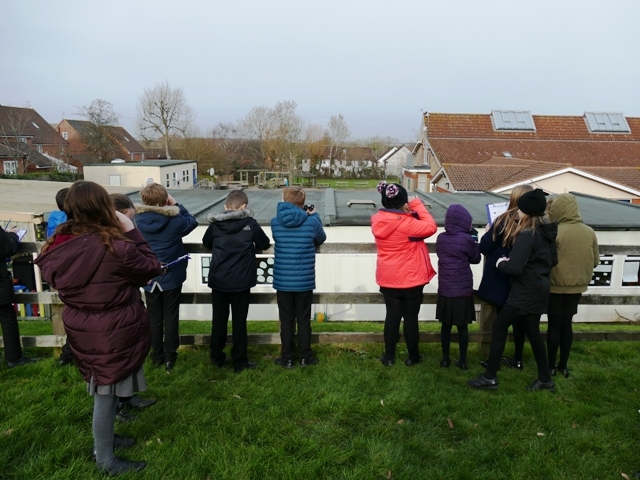 On Tuesday 29th January we took part in the RSPB's Big Schools' Birdwatch. 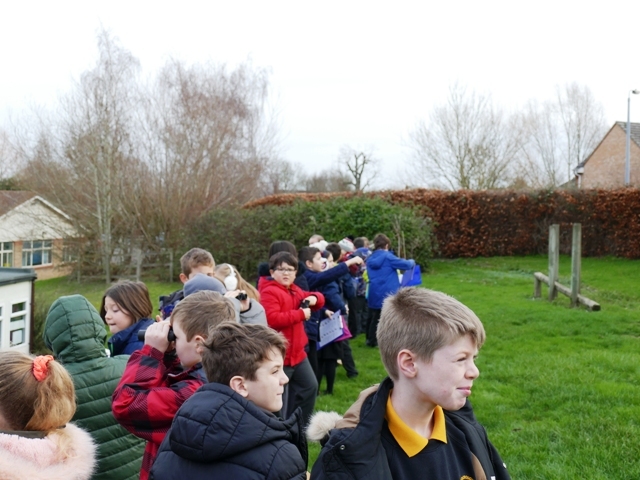 This is the first time we have taken part in this annual event, which is complimentary to our 'What's Under Your Feet?' days. 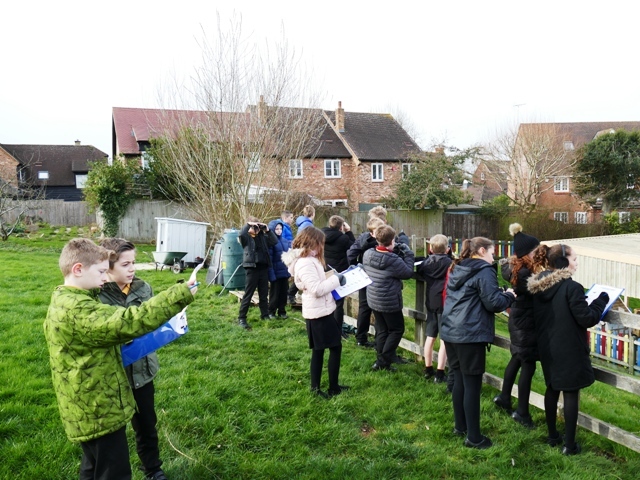 The Eco-Eggs team were very enthusiastic about this day and made some superb posters to advertise it all around the school. 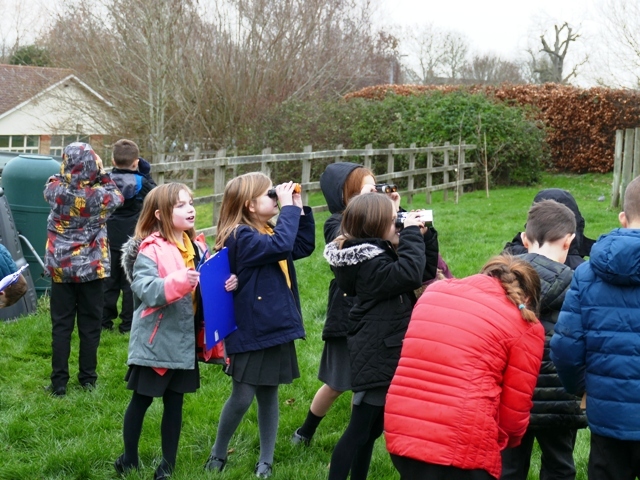 Like WUYF, the Big Birdwatch is a 'citizen science' project, collecting massive amounts of data across the country. 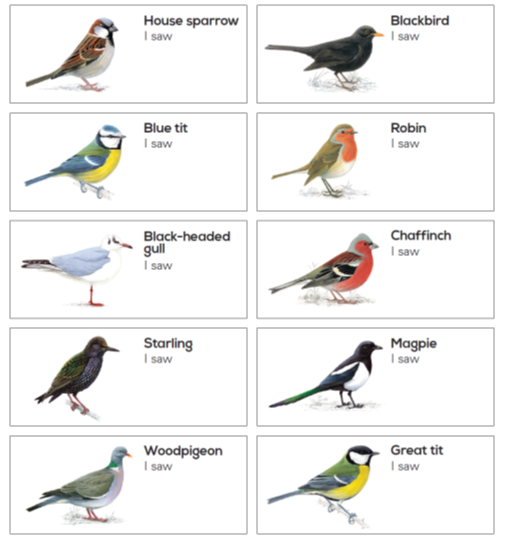 Each year the Royal Society for the Protection of Birds use this data to plot trends in bird species numbers and distribution. 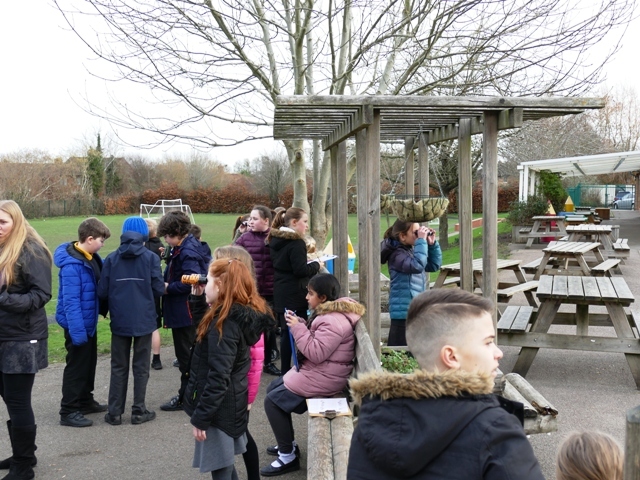 WUYF looks at some of the food they eat, soil invertebrates. 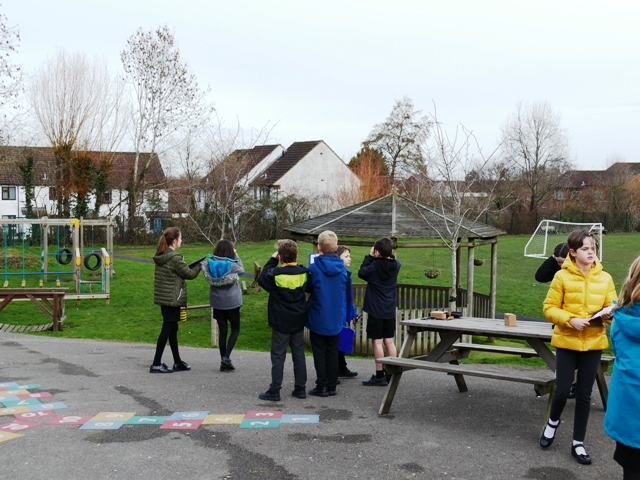 Classes from Year 1 to 6 took up observation positions around the school site and recorded the different birds that they saw. 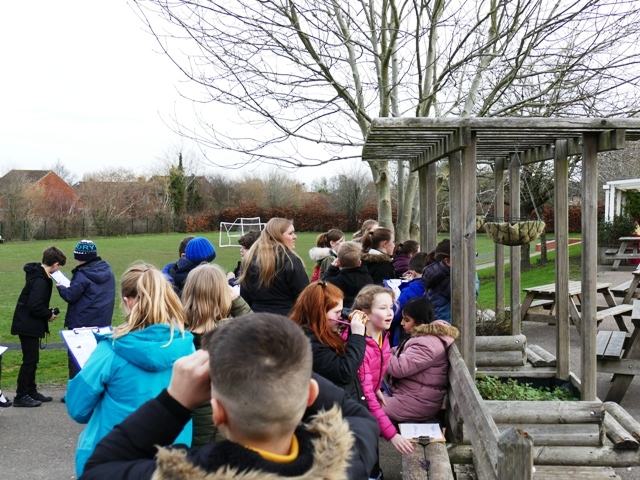 As well as collecting the data, it was a great opportunity to spend a little time quietly observing and enjoying our natural environment, which connected well with our current 'Mindfullness' project. 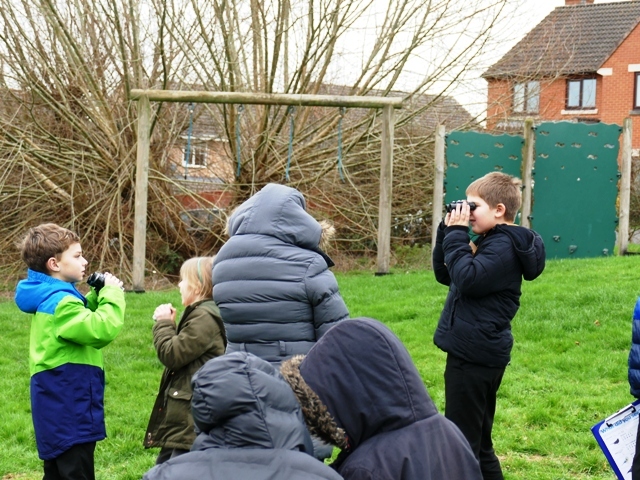 Thanks to everyone who loaned us sets of binoculars, we couldn't have held the event without your help. This is one of the observation sheets. We saw all these varieties across the day, and a few more!